Students around the world have been going on strike to fight climate change, and now a Quebec coalition wants to do that same. A coalition of students from three schools is launching a call to action for a province-wide climate strike on March 15. 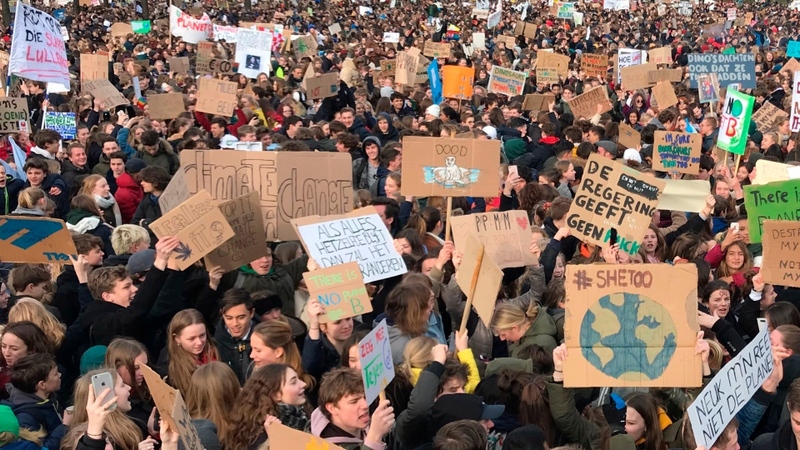 It follows protests in The Hague as thousands of Dutch students joined the movement. Concordia University student Jamie Latvaitis is one of the students involved on the local level. Latvaitis said it’s imperative governments act now on climate change, and that the protest day might just be the beginning. “What happens when you elect people to represent you and they fail to do so? When they’re not considering your future? You trust them with power and they refuse to take into consideration that the future of your children is not safe. Are two protest days enough for that? I really don’t think so,” he said. He had a note for anyone who might feel cynical about protests being able to bring change. Watch the interview with Jamie Latvaitis above.